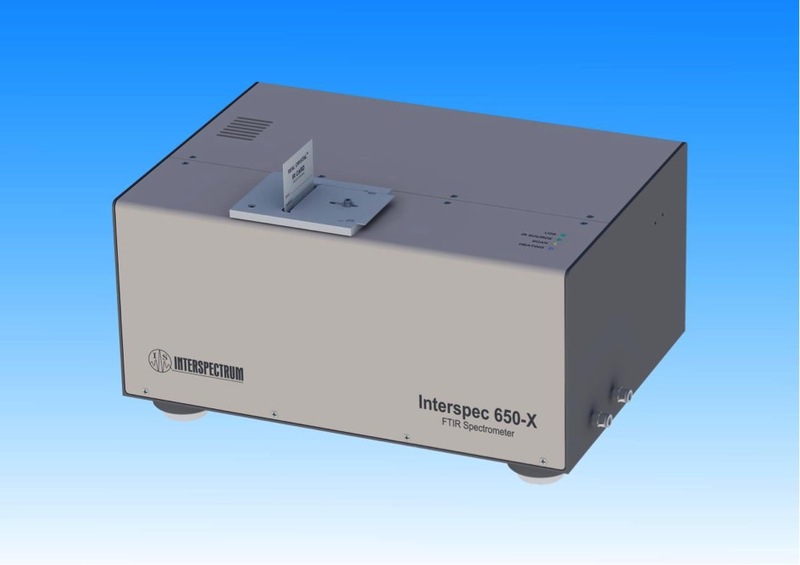 Compact FTIR spectrometer Interspec 650-X provides high performance in a compact size and at an affordable price. Combining flexible sample handling outside the instrument and leading Interspec for Windows software, the Interspec 650-X FTIR spectrometer is a great solution for industrial, government or academic labs. It implements the same field-proven FTIR technology found on other Interspec FTIR models using pendulum type roof mirror interferometer. The lightweight design and small footprint of the Interspec 650-X FTIR spectrometer enables you to bring the spectrometer where you need answers most: from your busy laboratory to the production floor or in the warehouse. 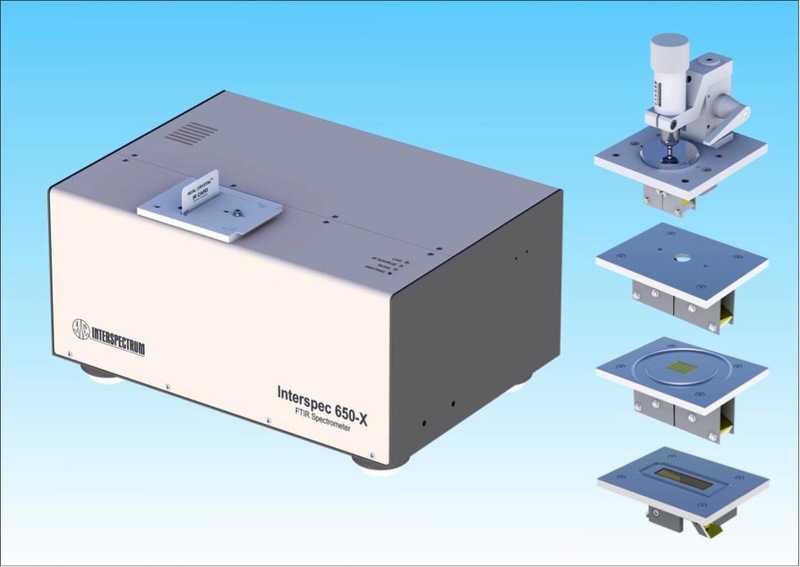 With the wavenumber range from 7000 to 400 cm-1 (KBr optics) or from 5000 to 600 cm-1 (ZnSe optics) and standard spectral resolution of 1 cm-1, the spectrometer forms an Built-in architecture type sample compartment outside the spectrometer capable to use different accessories for transmission, reflection and ATR measurements. Built-in architecture type sample compartment allows to use accessories for transmission, reflection and ATR measurements. Interspec 650-X with real crystal IR card Interspec for Windows software is supplied on CD and provided with each system shipped. The software includes features for all standard analytical requirements including manipulation of spectral data, instrument control, plot with preview on the screen plus many others. Also included are several facilities for analytical modelling of interferogrammes or spectra, with smoothing, and baseline correction, interactive editing and data manipulation. Also spectral subtraction, mixture subtraction, smoothing derivatives, plot with preview etc. Data import and export is possible in ASCII, Excel, SPC or JCAMP formats. Other FTIR spectroscopic softwares like Essential FTIR or Panorama for running the spectrometer and for complete handling of measured infrared data are available as an option.